April 2, 2019—Trustees, in their governance roles, are advocates for public education and for Hastings and Prince Edward District School Board. The Ministry of Education has extended the consultation period to May 31, 2019 with regard to recent announcements. HPEDSB trustees believe it is important to advocate for the supports that our students and employees need in order to achieve excellence and equity. A letter has been sent to the Minister of Education expressing concerns about the recent announcements and proposed changes to education. 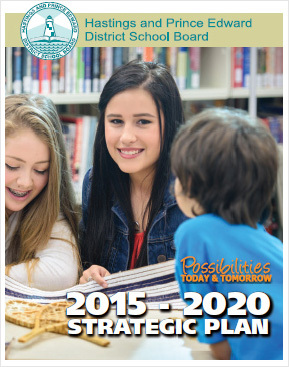 The vision in the Hastings and Prince Edward District School Board (HPEDSB) 2015-2020 Strategic Plan: Possibilities Today & Tomorrow is: All students prepared and empowered for the possibilities of today and tomorrow. In order to accomplish this inclusive vision, we are committed to priorities of Achieving Excellence & Equity, Learning & Leadership, Public Confidence and Well-Being. As provincial education partners, we recognize the government’s commitment to fiscal responsibility. We also know that Ontario’s education system is recognized globally, and we want to work collaboratively to both improve and maintain the high quality of education in this province. I am writing to you because our Board of Trustees is very concerned about the proposed changes in funding to support students with autism, as well as the reduction in the secondary programming amount in the Pupil Foundation Grant, the Cost Adjustment Allocation, the Human Resource Transition Supplement and Classroom Loading Factors. Reductions in funding result in the loss of employees who contribute every day to student achievement. We are particularly alarmed by changes to class sizes in elementary and secondary schools. The proposed increase in average class size in secondary schools to 28:1 is of significant concern. It is clear that teaching positions will be affected and that there will be an impact on the range of programming at secondary schools. Our board is a mix of suburban and rural areas with a number of small schools. Maintaining a range of programming and an adequate number of staff in secondary schools are already challenges. The reduction of staff, even through attrition, will result in fewer options for students, as well as increased concern about student safety. Senior staff are working to understand the full effect of the proposed increases in class sizes. There will be negative impact on student achievement and well-being. As elected officials, we have an expectation of equity of access to programming for students in HPEDSB. While we already offer e-learning courses, we know that in many areas of our school board students are unable to access reliable internet service and/or transportation to an accessible location. The e-learning environment is not appropriate for all students. In addition, as funding decreases and class sizes increase, HPEDSB staff will need to adhere to the local collective agreements which specify more stringent limits on class size. This will increase the funding gap. 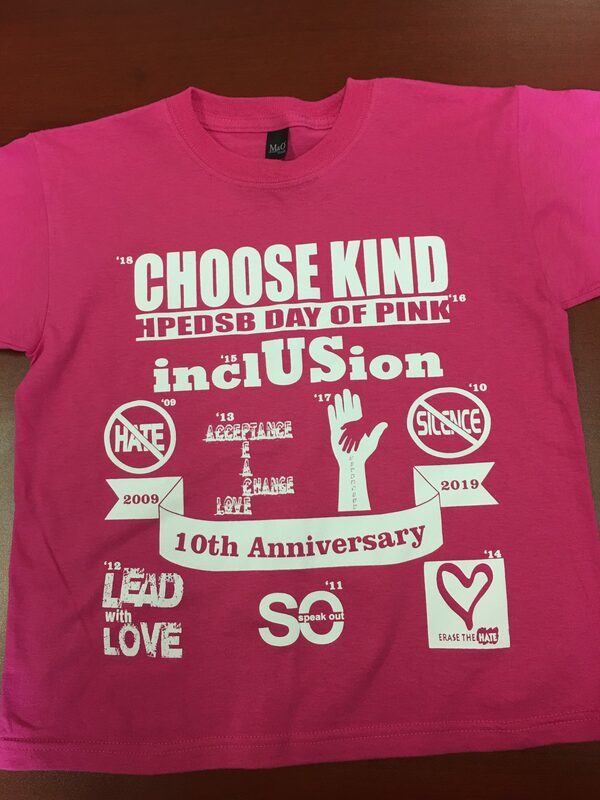 HPEDSB will be challenged to offer the programs and services necessary for each student to achieve success. As Trustees, we often hear about the incredible work of our educators and support staff. We know how dedicated our employees are to creating safe, inclusive learning environments and to supporting our most vulnerable students, our students with special needs, our Indigenous students, and to supporting mental and physical well-being. We are pleased to see that the government continues to invite consultation and hope it seriously considers input from school boards. We ask that you focus on students and value public education by reconsidering the changes to class sizes and funding that will impact both the programs we can offer to students and the number of employees in our system. We hope to have details soon from the Ministry of Education about how its plan will support school boards to provide programs and services so that students can achieve and be well. 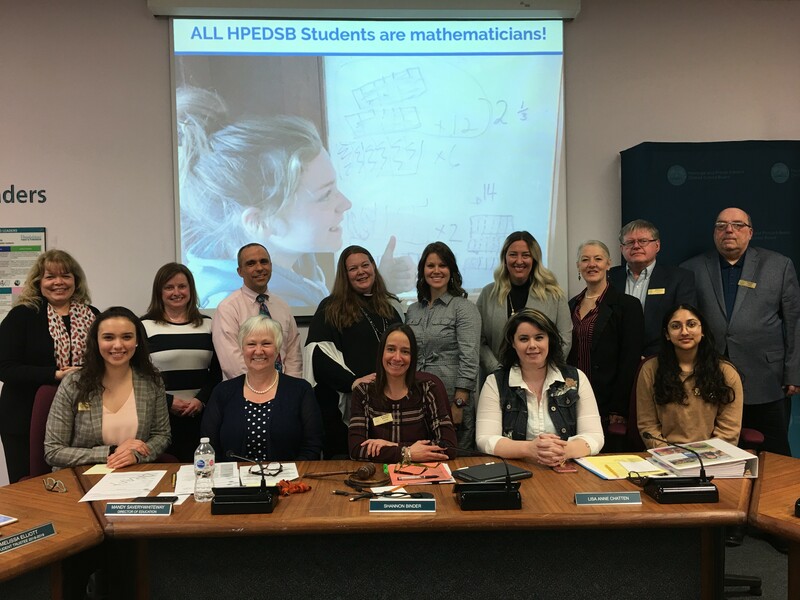 March 25 2019—This update provides a summary of the public meeting of Hastings and Prince Edward District School Board held Monday, March 25, 2019 at the Education Centre. It is an unofficial summary of the meeting; official minutes will be approved at the next meeting in April 2019. Shannon Binder, Chair of the Board, acknowledged the First Peoples of the territory. This evening we acknowledge that the land on which we are gathered is part of the traditional territory of the Haudenosaunee people. We acknowledge the land to show respect and recognize the First Peoples of the territory; their history, culture and perspectives and as a step towards reconciliation. 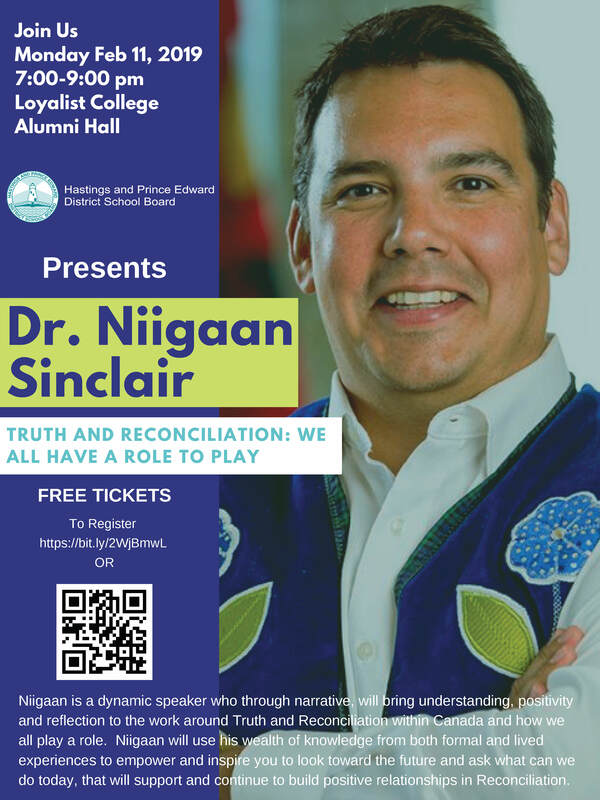 This evening Mike Brant, Trustee, Mohawks of the Bay of Quinte, asked all to reflect on Integrity: We do what is right for ourselves and others. We demonstrate values and ethics that are good for all. We speak directly, clearly and respectfully. Thank you to the classroom teachers who presented at the March Board meeting: Tonya Ashton, C.M.L. Snider School; Lisa Allery and Melanie Lee, Park Dale School; Jennifer Cooke, Sir John A. Macdonald School; and David Lanovaz, Trenton High School, back row starting second from left. This was an engaging visual presentation describing innovative approaches to teaching and learning mathematics at elementary and secondary schools. Superintendent Tina Elliott began by commenting about educational leaders who empower students to be confident, creative and curious mathematical learners in K-12. 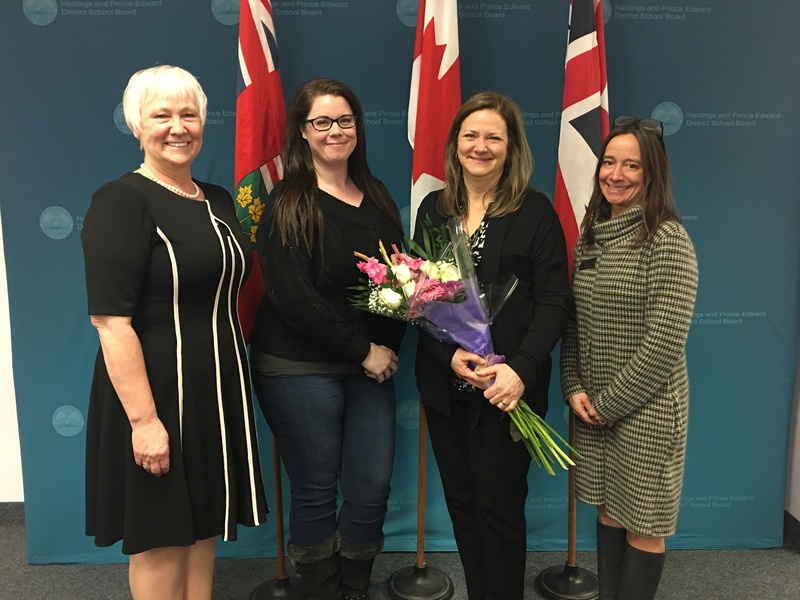 She introduced five teachers from elementary and secondary schools who described their approach to teaching mathematics, and also central office teaching personnel who support them. Number Talks is a successful approach used in many classrooms. Number Talks engage students in taking risks and share their learning with the classmates and teacher. Another successful approach is Building Thinking Classrooms. It involves students working in random groups, doing work at the whiteboard, with lots of talking and collaborating, eventually coming to consensus on what the answer should be. These approaches help to create a community of mathematicians and learners who improve their mathematical understanding. Students take ownership of their learning while teachers guide them and summarize the learning at the end of the class. These approaches to instruction facilitate group/shared knowledge in ways that are accessible and inclusive for all, resulting in students feeling more confident about math and empathetic to their classmates inside and outside the classroom. Student testimonial 1: In response to the question, How does a number talk help you learn? Emily, a student in Grade 2 replied, Using different strategies helps me to learn how to get to the answer faster. Student testimonial 2: Student voice through video. Thank you to the classroom teachers who presented: Tonya Ashton, C.M.L. Snider School; Lisa Allery and Melanie Lee, Park Dale School; Jennifer Cooke, Sir John A. Macdonald School; and David Lanovaz, Trenton High School. Each spring, school boards are required to establish a school year calendar for the next school year in accordance with Regulation 304 School Year Calendar. This regulation sets the beginning and end dates for the school year, stipulates school holidays, and prescribes the minimum number of instructional days (194) and the maximum number of professional activity days (7), examinations days (10) and board designated holidays (2). A consultation process occurred with employee groups, parents, school councils and community members. An online survey was also available for public input. Board members approved the following dates for the 2019-2020 school year calendar. These dates are subject to Ministry of Education approval, which is expected by the late spring. The following dates are included for reference. A number of district and school events (Pdf) are scheduled for the remainder of March and April 2019. Notice of motion was given that amendments to Policy 8: Board Members’ Code of Conduct, will be on the agenda for the April 2019 meeting. Monday, April 1: Executive Committee, 11:00 a.m.
Wednesday, April 24: Parent Involvement Committee, 5:30 p.m.
Thursday, April 25: Special Education Advisory Committee, 5:00 p.m.
March 20, 2019—Parents/guardians of students in Grades 7-12 are invited to information sessions about teens and cannabis. According to a recent Ontario student drug use and health survey, 36.9% of youth have tried cannabis by Grade 12. Males and females are equally likely to use cannabis. While curiosity and risk taking is a normal part of the teenage years, parents and caregivers can play a key role in preventing or delaying drug use among youth. BELLEVILLE: Wednesday, March 20, 2019, hosted at Eastside Secondary School, 6:30– 7:45 p.m.
PICTON: Thursday, March 21, 2019, hosted at Prince Edward Collegiate Institute, 6:30– 7:45 p.m.
BANCROFT: Wednesday, March 27, 2019, North Hastings High School, 6:30– 7:45 p.m.
QUINTE WEST: Tuesday, April 16, 2019, St. Paul Catholic Secondary School, 6:30– 7:45 p.m. These sessions are being offered in partnership with Addictions and Mental Health Services Hastings Prince Edward, the Algonquin and Lakeshore Catholic District School Board, the Belleville Police Service, the Hastings and Prince Edward District School Board, and the Ontario Provincial Police. Registration is not required. March 6, 2019—Do you know someone who contributes to the achievement and well-being of students at Hastings and Prince Edward District School Board? Consider nominating them for a Great Place Award. Great Place Awards are the highest recognition at HPEDSB. They honour and celebrate individuals or groups who have made significant contributions to student achievement and well-being. Nominations are accepted for students, employees, parents/guardians, volunteers and community partners—anyone who makes a positive difference in students’ educational experiences or lives. *Principal approval is required when students are nominating employees/community partners. How to write a winning nomination (Pdf) explains key points and what to include in your write-up. The deadline for nominations is Friday, April 26, 2019 at 4:00 p.m. Awards will be presented at the public Board meeting on Monday, May 27, 2019, at 7:00 p.m., at the Education Centre, 156 Ann Street, Belleville. Award recipients and nominators will be notified in advance. 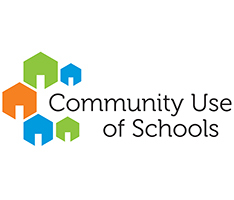 March 1, 2019—Each month, school newsletters include a one-page insert called Home-School Connections. It describes ways in which families can enhance student learning at home in the areas of literacy; numeracy; healthy, caring schools and improving student learning. Students who are caring, inclusive citizens demonstrate strong character in all they say and do by showing empathy and expressing genuine concern for self, others and the environment. What does the graphic in the center mean to you? What some ways are that you can demonstrate respect toward others? How are you already demonstrating social awareness (understanding and responding to the needs of others)? 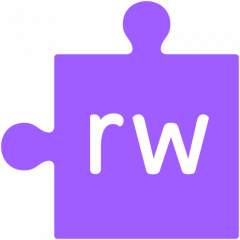 read & write for Google Chrome is a browser extension that provides access for all students to assistive tools for spelling, reading and writing skills, not only at school, but at home too! Click on the read & write icon to use the toolbar in Google Docs, on pdf’s and on websites! Updated 2:07 p.m., February 27, 2019—The Parent Involvement Committee (PIC) meeting scheduled February 27, 2019, has been cancelled due to the forecast for inclement weather. The next scheduled meeting will be held at 6:30 p.m. on Wednesday, March 20, 2019 at the Education Centre, 156 Ann Street, Belleville. February 25, 2019—This update provides a summary of the public meeting of Hastings and Prince Edward District School Board held Monday, February 25, 2019 at the Education Centre. It is an unofficial summary of the meeting; official minutes will be approved at the next meeting in March 2019. Shannon Binder, Chair of the Board, acknowledged that the meeting is taking place on the land of the Haudenosaunee people. This evening Meera Moorthy, Student Trustee, asked all to reflect on Humour: We celebrate the fun in life. We lighten the emotions of others by interacting in a joyful manner. Thank you to presenters from Eastside Secondary School (centre and sitting) and from the Education Centre, about Specialist High Skills Major programs. Superintendent Cathy Portt introduced presenters from the Education Centre and Eastside Secondary School. Specialist High Skills Major programs are for students in Grades 11 and 12, and can be accessed by students in all pathways. The group provided a visual presentation highlighting the Construction and Sports SHSMs at Eastside Secondary School. The group also highlighted the experiential learning activities (for example building sheds and a chicken coop) and participating in the Ontario Technical Skills Competition. Compulsory certifications in SHSMs include: Standard First Aid; CPR Level C, AED; Basic Health and Safety; Working at Heights; WHMIS. Some of the elective certifications include: Elevated Work Platforms; Confined Space Awareness; Scaffold Safety; Chainsaw Safety; Traffic Control; and Trenching Safety. Student Braden Tebworth is in the Construction SHSM and recommends it to anyone who wants to get into the trades. Braden explained that he has learned so much and would like to work in HVAC. He is planning to go to college for HVAC and is looking forward to starting his own business one day. Student Hannah Dafoe is in the Sports Management SHSM and talked about how it has focused her vision for a future career. She described having access to reach ahead experiences, one of which was to attend a Toronto Raptors game and meet the players, management and office personnel. Thank you to the presenters for being part of the meeting. Board members approved the Terms of Reference for the Director’s Selection Committee. A number of district and school events (Pdf) are scheduled for March 2019. Superintendent Cathy Portt is retiring from HPEDSB in mid-March after 33 years. Congratulations, Cathy! A presentation to Superintendent Cathy Portt who is retiring in mid-March. Cathy has worked with HPEDSB for 33 years as an elementary teacher, curriculum coordinator, vice-principal, principal, assistant superintendent and superintendent. 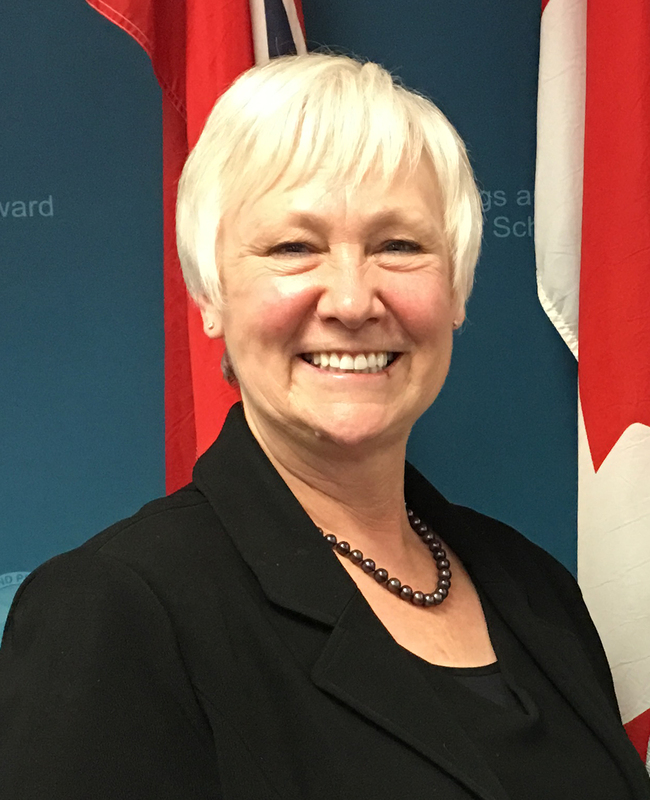 She has served as the president of OPHEA and chair of the local Ontario Principals’ Council. In 1991 Cathy organized the first Celebration of Dance for students, an event which is still going strong. Cathy is steadfast in her belief that all students can achieve excellence and equity. Thursday, February 28: Special Education Advisory Committee, 5:00 p.m.
Monday, March 4: Executive Committee, 11:00 a.m.
Wednesday, March 20: Parent Involvement Committee, 6:30 p.m.
Monday, March 25: Public Board Meeting, 7:00 p.m.
February 7, 2019—Each year Hastings and Prince Edward District School Board consults with employees, parents/guardians, students, community members and community partners about the dates for the school year calendar. HPEDSB coordinates the dates with the Algonquin and Lakeshore Catholic District School Board, and the Limestone District School Board, due to having common bus schedules through Tri-Board Student Transportation Services. The proposed dates for the 2019-2020 school year are listed below and are open for input until later this month. Please provide feedback by completing the 2019-2020 School Year Calendar Online Form by Wednesday, February 27, 2019. February 4, 2019—Each month, school newsletters include a one-page insert called Home-School Connections. It describes ways in which families can enhance student learning at home in the areas of literacy; numeracy; healthy, caring schools and improving student learning. On-line pre-registration is now available. Children must be 4 years old in 2019 (born in 2015) to enter Kindergarten. Are you thinking about elective programs for your child? Pre-registrations for French Immersion, Extended French and Destinations are due to the host school by Friday, February 15, 2019 for September 2019. January 31, 2019—This update provides a summary of the public meeting of Hastings and Prince Edward District School Board held Thursday, January 31, 2019 at the Education Centre. It is an unofficial summary of the meeting; official minutes will be approved at the next meeting in February 2019. This evening Shannon Binder, Chair of the Board and trustee for Southeast Hastings, asked all to reflect on Honesty: We choose to live truthfully. We communicate and act in a sincere and respectful way. Thank you to students and staff from Harmony Public School who presented about the Student Google Summit held in October 2018. The first Student Google Summit took place in mid-October 2018 at Harmony Public School and involved approximately 360 students in Grades 4-8. It was an interactive, fun two-day event that focused on digital fluency, collaborating, creative thinking, critical thinking and well-being. Board members approved the relocation of Grade 7-8 students from Bayside Public School to Bayside Secondary School, creating a Grade 7-12 school, effective September 2019. 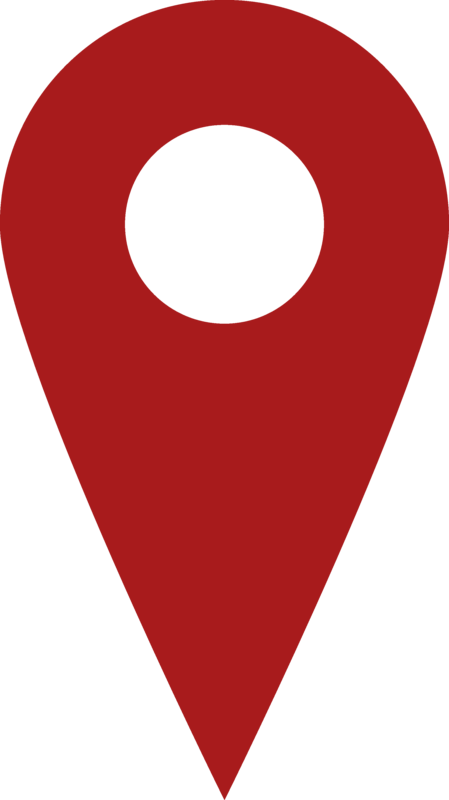 All Bayside Public School students in Grade 7-8 are currently located at Bayside Secondary School due to lack of space at Bayside Public School. There are currently 195 Grade 7 and 8 students at the school. Bayside Public School is comprised of three sites: the Bayside Public School main building, the Bayside Public School Annex, and the portion of Bayside Secondary School that contains the Grade 7-8 students. All three sites are on the same campus. All students in Grades 9-12 in the Bayside School Group attend Bayside Secondary School. There are currently 831 Grade 9-12 students attending the school. The enrolment at Bayside Secondary School is projected to continue to increase through the next five years. Relocating the Grade 7-8 students from Bayside Public School would allow the Bayside Secondary School administrator to have responsibility for the Grade 7-12 students in the building. This relocation would offer improved programs opportunities for the Grade 7-8 students. Bayside Public School would remain a K-6 elementary school on two sites. The 7-12 model that is proposed for Bayside Secondary School is consistent with similar 7-12 models that are successfully in place at Centennial Secondary School and Trenton High School. No changes to the classrooms or building would be required at Bayside Secondary School as the Grade 7-8 students are already located at the school. As well, no changes would be required to bus routes or student transportation. Public communication of this proposal occurred in November 2018 and extended until early January 2019. Board members approved relocating Grade 7-8 students from York River Public School to North Hastings High School, creating a Grade 7-12 school effective September 2019. All students in Grade 7-8 in the North Hastings School Group currently attend York River Public School, located in Bancroft. There are currently 150 Grade 7-8 students at the school. York River Public School had an addition added in 2011, but is again completely full, with increased enrolment projected for 2019-2020 and beyond. All students in Grades 9-12 in the North Hastings School Group attend North Hastings High School, located in Bancroft. There are currently 425 Grade 9-12 students attending the school. The enrolment at North Hastings High School is projected to continue to decrease through the next five years. Relocating the Grade 7-8 students from York River Public School will provide needed space at York River Public School, required to accommodate the increasing enrolment as well as to accommodate program needs at the school. It will also offer improved programming opportunities for the Grade 7-8 students at the secondary school. The Grade 7-12 model that is proposed for North Hastings High School is consistent with similar Grade 7-12 models that are successfully in place at Centennial Secondary School and Trenton High School. Only minor changes to the classrooms would be required at North Hastings High School to accommodate the Grade 7-8 students and there is ample time to implement those changes prior to September, 2019. As well, it is anticipated that little change to student transportation would be required, as all Grade 7-8 students are already bussed to Bancroft, where North Hastings High School is located. Board members approved a recommendation that the additional funding resulting from increase in the 2018-2019 Special Education per Pupil allocation benchmark for Junior Kindergarten to Grade 3 students be used to hire additional education assistants for elementary schools that currently have high Special Education needs. On August 24, 2018, the Ministry of Education released memo 2018: B14 Update: Education Funding for 2018–2019 which included a number of updates to the previously announced education funding for the 2018-2019 school year, including an increase of $18.26 in the Special Education per Pupil Amount (SEPPA) allocation for JK to Grade 3 students from $988.82 to $1,007.08. A number of district and school events (Pdf) are scheduled for the remainder of January and February 2019. Revised Estimates. The Revised Estimates show an in-year surplus of $1,620,702 compared to original Estimates submitted to the Ministry of Education in June 2018 which projected an in-year surplus of $1,546,019. Overall, HPEDSB is tracking very close to the approved budget plan for 2018-2019. Mandy Savery-Whiteway, Director of Education and Kerry Donnell, Communications Officer, presented this interactive, online annual report for information. It showcases and celebrates student and employee learning during the 2018 calendar year, while also describing progress made in the areas of equity and the strategic plan. Monday, February 4: Executive Committee, 11:00 a.m.
Wednesday, February 20: Parent Involvement Committee, 5:30 p.m.
January 28, 2019—The Board meeting scheduled for tonight has been rescheduled due to the forecast for heavy snow this evening and into tomorrow. The rescheduled date is Thursday, January 31, 2019 at 7:00 p.m., 156 Ann Street, Belleville. 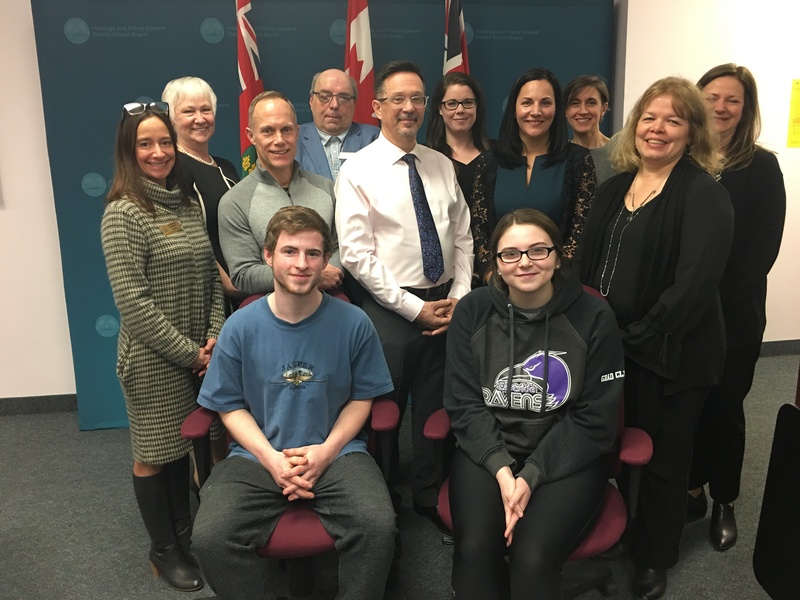 January 9, 2019—The Parent Involvement Committee (PIC) is a legislated, statutory committee of Hastings and Prince Edward District School Board (HPEDSB), established in accordance with Ontario Regulation 612/00 as amended of the Education Act and Board Policy 11-K. The PIC is a formal structure and an important advisory body. Along with school councils, the PIC encourages parent involvement at the local and regional levels through a grassroots approach. HPEDSB is committed to working collaboratively with the PIC to increase parent involvement in children’s education, improve student achievement and well-being and increase confidence in public education. Note: members are required to attend 50% of meetings, plus one additional meeting each year. All parents/guardians and interested members of the public are invited to attend PIC meetings. Meetings are held at the Education Centre, 156 Ann Street, Belleville. Anyone interested in attending a PIC meeting may contact Student Services for information and to confirm attendance. More information about the PIC. 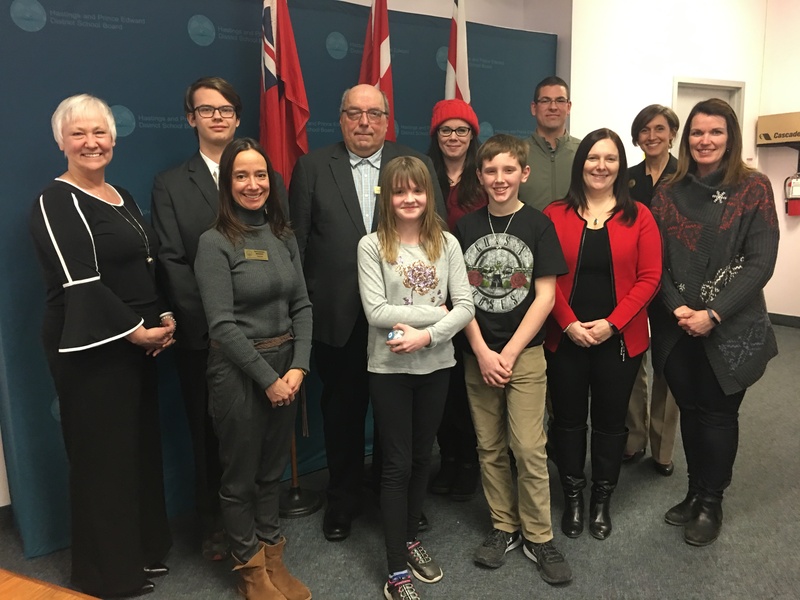 January 9, 2019—The Special Education Advisory Committee (SEAC) is a legislated, statutory committee of Hastings and Prince Edward District School Board (HPEDSB). The role of SEAC is to report and make recommendations to the school board regarding any matter affecting Special Education programs and services for exceptional students. Membership is made up of associations, parents/guardians, board and community representatives. SEAC represents the interests of all children who have special education and/or mental health needs. SEAC advises, advocates and supports processes that meet the educational needs of children who have special needs in the community. SEAC also works collaboratively with other SEACs to advocate for effective policies, practices and procedures across Ontario. All parents/guardians and interested members of the public are invited to attend SEAC meetings. SEAC meets monthly during the school year, usually the fourth Thursday of the month, at 5:00 p.m. Meetings are open to the public to attend as observers. Meetings are held at the Education Centre, 156 Ann Street , Belleville. Anyone interested in attending a SEAC meeting may contact Student Services for information and to confirm attendance. More information about SEAC is available online. Kelly Allan, Family Space Quinte Inc.
Janet Christie, North Hastings Community Integration Assoc. January 7, 2019—Each month, school newsletters include a one-page insert called Home-School Connections. It describes ways in which families can enhance student learning at home in the areas of literacy; numeracy; healthy, caring schools and improving student learning. Support the learning at home… magnetic letters open up a world of learning possibilities! Have your child make the names of their family and friends. Make the name, switch it up, make it again! Make a word, then have your child make a word that begins with one of the letters. The words can go across or down. Make words with magnets. Have your child add different endings to the words (s, ed, ing, er). Make a simple three or four-letter word. Ask your child to change the vowel to make a new word (for example, hit, hat; pack, puck). Choose a category such as colours, clothing or food. Make and read the words in each category. Write the words in a list. If it is a grocery list, take your child shopping! Following directions is part of everyday life. Regular household routines such as setting the table, laundry and baking, as well as things like setting up an obstacle course, retelling events and playing games such as Simon Says will expose your child to the language of directions. 1-step/2-step directions are directions that have a small amount of information. Sequential directions are directions that need to be followed in order. Conditional directions allow children to decide what actions to do based on the given conditions.